Homearama 2016, a collection of eight custom-built, luxury homes in Macomb Township presented by the Home Builders Association of Southeastern Michigan, will open to the public on Sept. 23. 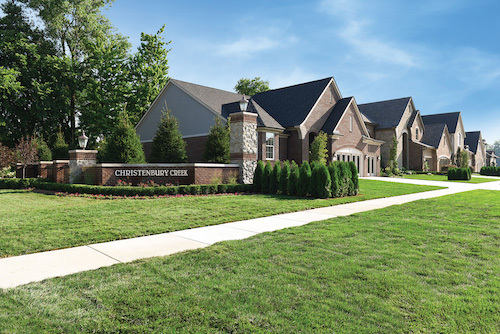 The tour of the fully furnished, decorated, and landscaped homes will be held at Christenbury Creek, located on Card Road just south of 23 Mile Road, and feature the latest in building trends, technology, and interior design. The homes range in price from $449,000 to $749,500. “Whether you are looking to buy a new home, remodel your own home, or just see what your dream home might look like one day, this event is a must attend,” says Michael Stoskopf, CEO of the Home Builders Association of Southeastern Michigan. The community was developed by Bloomfield Hills-based Arteva Homes. HBA professional builder members including Arteva Homes, Clearview Homes, Lassale Homes, Sunset Homes, and Vitale Cos. are building the homes. Tickets for Homearama 2016, which is open from 11 a.m. to 8 p.m. on weekends until Oct. 9, can be purchased online for $10 per person or at the gate for $12 per person. The Home Builders Association will also host a charity preview gala for the tour on Sept. 21. Attendees of the event, which will feature hors d’oeuvres and cocktails presented by Andiamo and Nino Salvaggio, will have the opportunity to preview the homes before they open to the public and speak to the builders, interior designers, and more who helped create the showcase homes. Tickets for the event are $100 per person. For more information, visit homearamaHBA.com.